“Santa Claus is coming to town…”. Only a few days remain until Christmas Eve, so i think it is okay to have this song stuck on my head. Ever since I can remember, christmas time was always my favourite time of the year. I know this sounds like a phrase somehow, but I really love how everything around me turns calm and the christmas lighting of almost every window lights up the city. The only missing thing for a perfect christmas season is snow. Unfortunatly I am living in a city, where it rarely snows. Ironically, we have a really high rainfall, but we hardly ever get snow. In fact, it is just to warm for snow at the moment, that we can only hope and dream of white christmas here in North Gemany. Whisk flour with salt and icing sugar. Add butter and with a mixer or food processor mix all together until you have a cumbly mixture. Add slowy the water to the mixture and work it together until you have a smooth dough. Preheat oven to 190° C.
Peel apple and cut into small cubes. 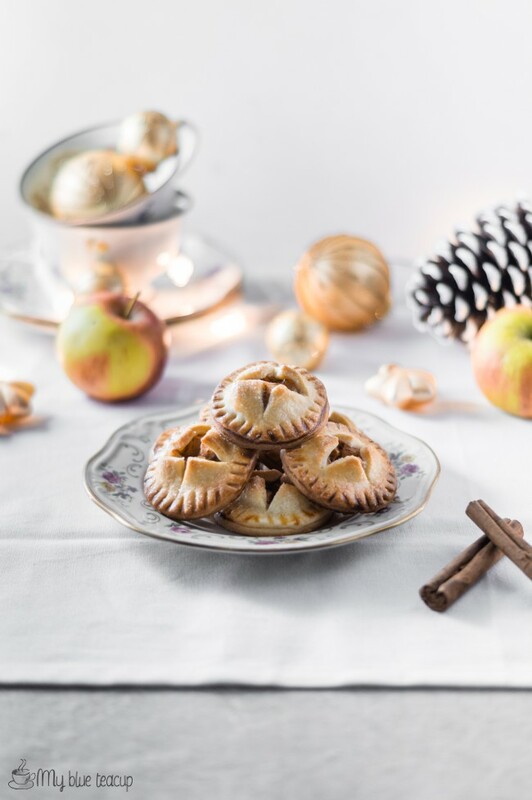 In a bowl, combine apples, icing sugar, ground cinnamon, corn starch and lemon juice. Flour you work surface lightly and roll out dough to (approx) 1-2 mm thickness. Cut out rounds (4-6 cm). Rerolling scraps if necessary. Cut half of the circles crosswise. 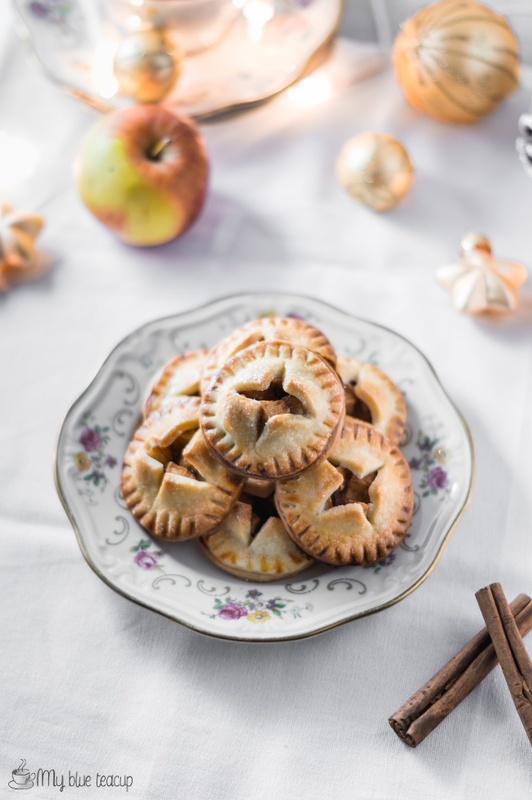 Top the other half of the circles with about ½-1 tablespoon of apple mixture and with the crosswise cutted circles. Press together the edges by using a folk. 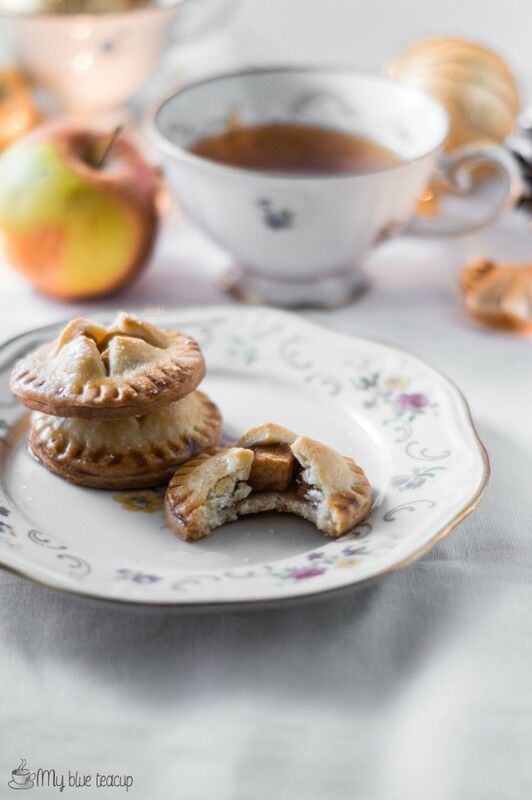 Lightly brush the hand pies with egg wash and sprinkle some granulated sugar. 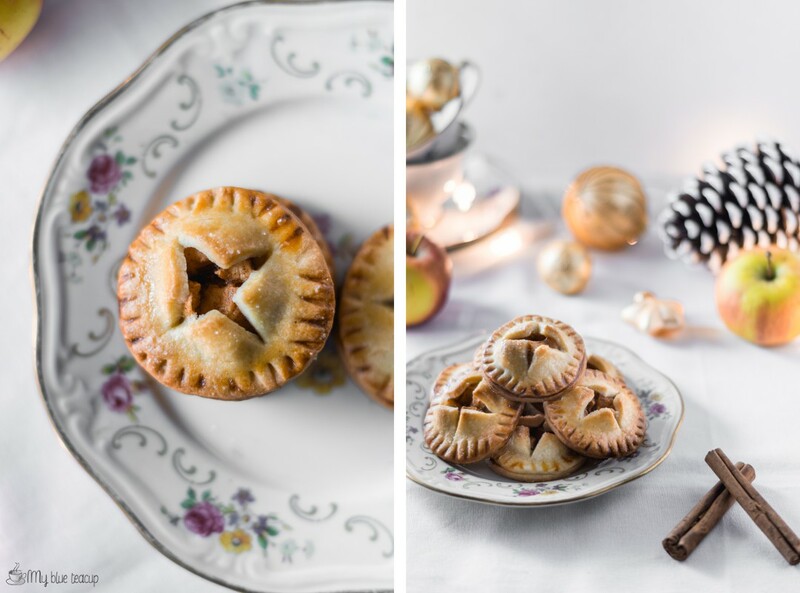 Love, love, love apple pies (and xmas of course!). They look sooo good. If it makes you feel any better, it’s 39 degrees celcius here in Perth, Australia!